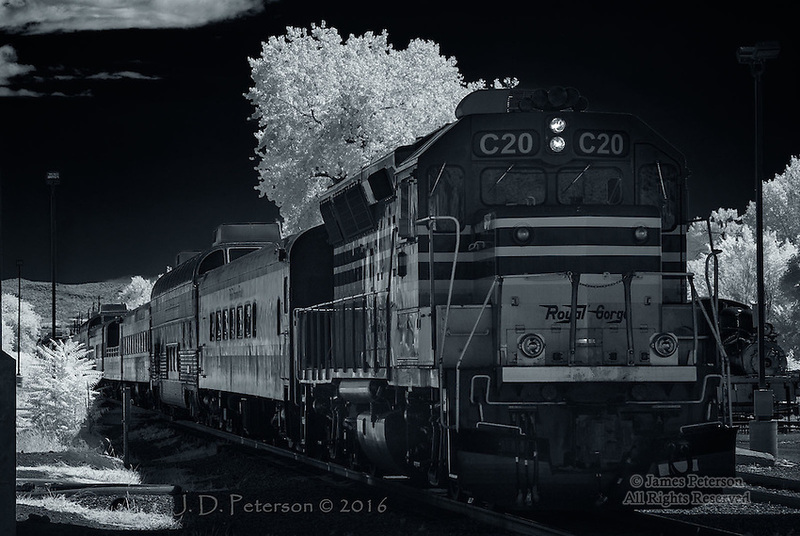 Engine C20, Royal Gorge Route (Infrared) ©2016 James D Peterson. This scenic railroad is a remnant of the old Santa Fe line. This train is ready to depart the station in Canon City, Colorado.